In the largest project of its kind, 3000 solar panels have been switched on at the University of Sussex, with carbon emissions set to be halved by 2020. Brighton Pavillion MP and co-Green Party Leader Caroline Lucas activated the system on 13th October that will provide 750,000 kilowatt hours of electricity per year to the university. The switch-on event was accompanied by a discussion panel featuring EUED colleagues Professor Jan Selby of the DEMAND Centre and Dr Florian Kern of the Centre on Innovation and Energy Demand (CIED). Professor Selby leads the Invisible Energy Policy project which looks at ways in which policy not considered to be directly related to energy issues can have a major influence on creating energy demand. The project team – including Dr Sarah Royston and Professor Elizabeth Shove – looked at Invisible Energy in HE and examined the ways in which university and government education policies had knock-on effects in relation to demand. Dr Kern is co-Director of the Sussex Energy group as well as being part of the CIED team. 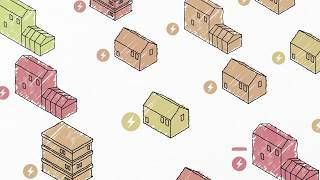 « Low carbon housing – a public reckoning?